Lecture at Triton College in River Grove, IL. Mark will be giving a lecture on Wednesday April 10, 2019, 7 pm, Triton College Library, Room A-​321. Hope to see you there. The Popielarz Residence is now complete. 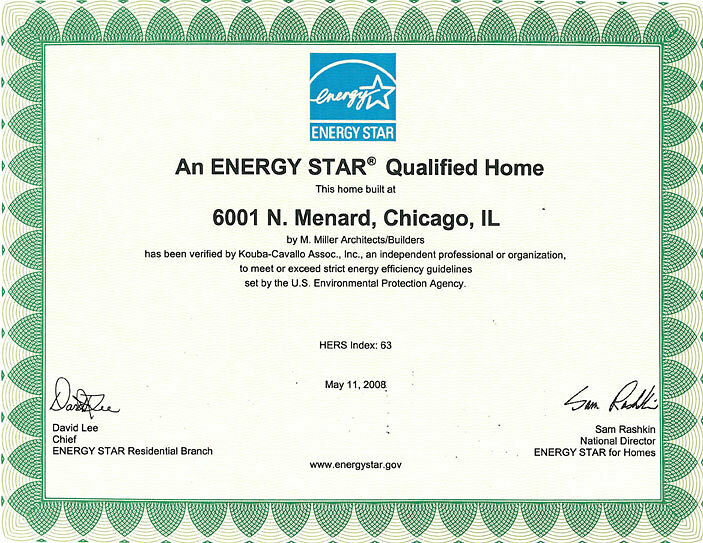 The project scored a remarkable 42 on the HERS rating and met and exceeded energy star certification by 50 % ! Blower door testing came in at an impressive 1.5 ACH@50 Pascals. A variety of new professional photographs can be seen in our PORTFOLIO. Two years ago Mark was asked to step up and into the Executive Director position for the Passive House Alliance US. Part of Mark’s week was directing a member organization promoting the world’s highest energy efficiency standard. Mark will remain active in this vibrant community of pioneering professionals. The Discovery Channel’s Planet Green station will feature The Matson’s Residence on their Renovation Nation Show. Former This Old House hot Steve Thomas spent the day filming at our project. He toured the house with both Al and Nancy Matson and with Mark. See portfolio for video. The Organization “Friends of the Park” (City of Chicago) has awarded Mark Miller with their Stewardship Award. Marks training with the TreeKeepers program inspired him along with fellow treekeeper Paul Whittaker to organize a neighborhood effort to mulch and prune all the trees in the Loyola Park area. The effort included the participation of 250 Chicago Waldorf Students at one event, caring for 3 entire blocks of trees that one afternoon. Over the summer, Mark traveled to Berkely, CA and Seattle, WA to take the “Passive House Consultant’s Training Program”. After nine intense days of studying the most rigorous building standard in the world, he is now one of only a handful of archiects in the U.S. offering this design service. In August Mark traveled to Urbana, IL to partake in the first ever, Passive House Builders Training Program offered by the Passive House Institute United States. 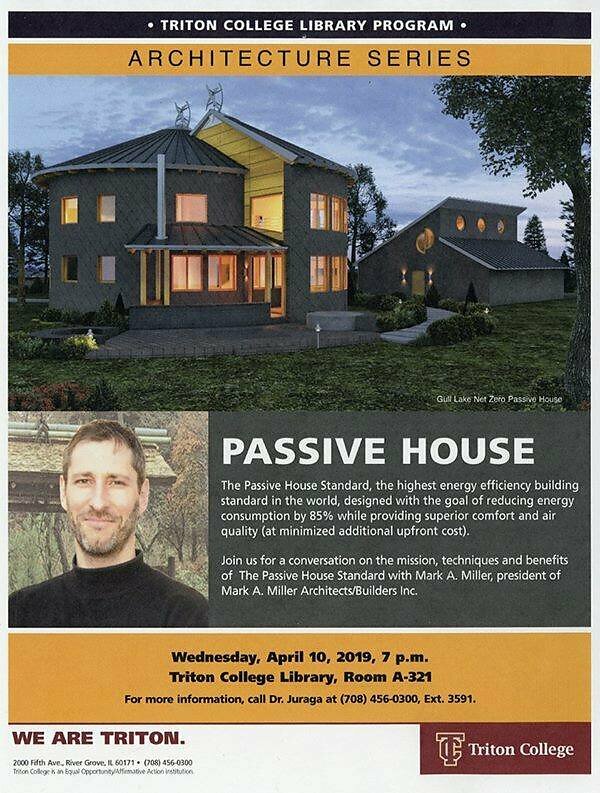 He will be one of the first US practitioners to go through both the Passive House design and construction programs. 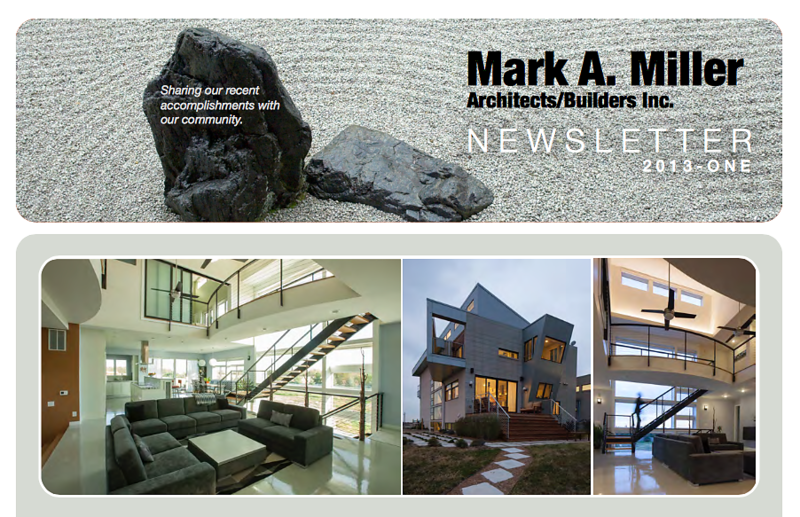 Download our recent newsletter for updates on a few of our recent accomplishments : Passive House, Popielarz Residence, Boyce English Conservatory, Lakeview Physical Therapy Center and more.